I was a child of the ‘70s and a teenager in the ‘80s. If you’ve watched ‘Stranger Things’ then you can picture what most kids my age did with plenty of spare time on their hands (after school, of course!). Exploring ‘ulu’ (Singlish for rural) parts of your HDB estate on BMX bikes, spending hours on end at the playground and ‘hantam bola’ (Malay which means hit with a ball; a more rudimentary version of dodgeball). Gif courtesy of POSB.com.sg, copyright of Carrie Wong. Fast forward to the 21st century and the advent of the digital age and instant connectivity. As a parent to 3 teenaged children and as a member of Generation X, I merely adopted this technological tsunami. My kids were born into this age, molded by it. And they argue with me for more connection time “Mom it’s only 10.39 pm. I fall sleep at 11 anyway.” Let’s not even broach the topic of going outside. Herein lies a new urgent parental conundrum: how much connection time is too much? By connection, I mean being connected digitally to a device. Endless whatsapp-ing, neverending YouTub-ing, Netflix-ing, video-gaming…you get the drift. So what can we do as parents to limit connection time? It’s no longer merely about preserving your children’s already deteriorating eyesight. Or your own sanity. It’s about digitally disconnecting. Or to go off-the-grid, as it were. The Sports and Fitness courses available on Tueetor are a testament to how much Sports has become a hallmark of passion for Singaporeans of all ages. From tennis to Aikido to swimming to diving to softball and even wrestling, getting your children engaged in any sport would help foster his or her character, especially when it’s conducted in an environment of teamwork and community and which also cultivates a healthy habit from a young age. 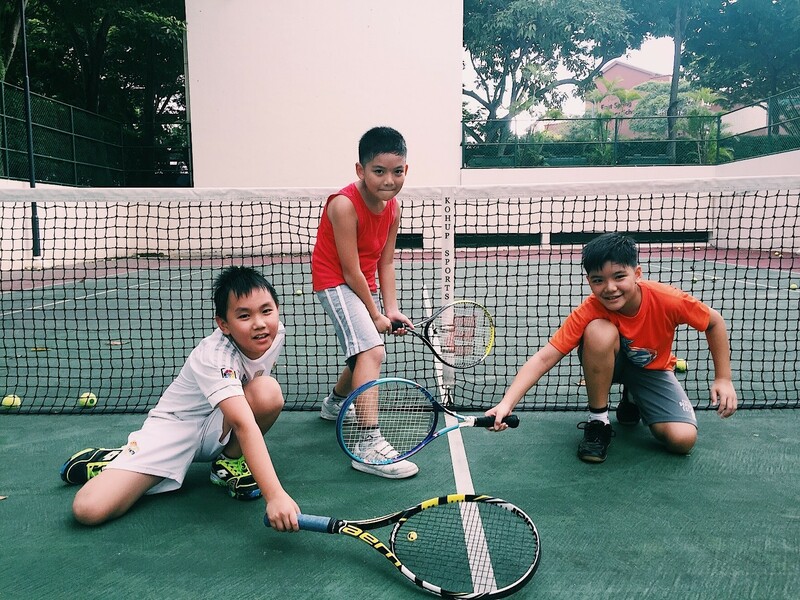 Image credit: Tueetor Premium Partner Whipper Tennis Academy’s young trainees. There’s nothing like learning a musical instrument to teach the very thing that this ‘instant connectivity age’ has taken away: delayed gratification. According to Angela Kwan of parents.com, learning to play a musical instrument refines discipline and patience in children. 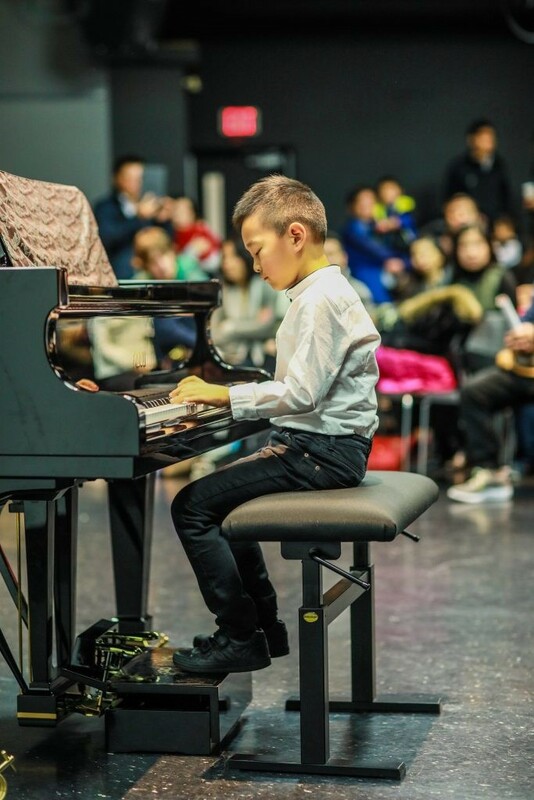 Learning to play an instrument teaches your children to persevere through hours, months and years of practice before they may be able to reach specific goals such as memorizing a solo piece or performing with a band. The piano for example has always intrigued my youngest daughter. Even at the ripe ol’ age of 12, when naysayers (mostly other parents) gripe that she’s too old to pick up a musical instrument, I would like to state for the record that you’re never too old to experience sheer joy. Her face lights up with delight and pleasure when she’s able to play a simple Disney musical score from start to finish from memory. “Art washes from the soul the dust of everyday life,” Pablo Picasso. 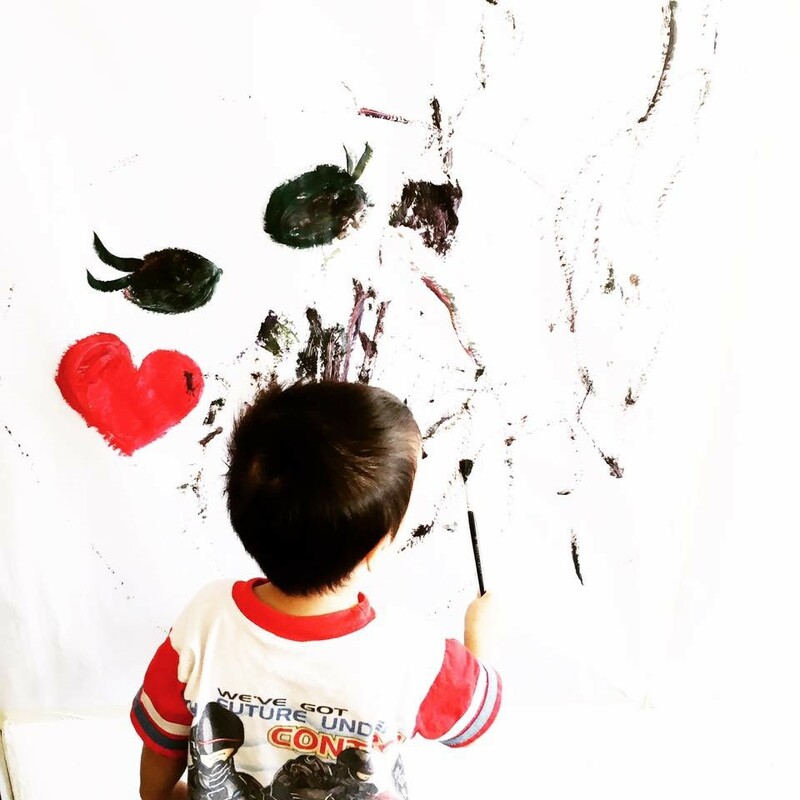 Young artist from The Little Art Connoisseur, a Tueetor Premium Partner. Leonardo da Vinci has once said, “Painting embraces all the ten functions of the eye; that is to say, darkness, light, body and colours, shape and location, distance and closeness, motion and rest.” Deane Alban in her article on bebrainfit.com states that an average person has some 60,000 thoughts per day and 95% of them are exactly the same thoughts, day in, day out. But when you get totally immersed in a creative endeavor, you find yourself in what’s known as a state of “flow” or what we would call, “in the zone”. This meditative-like state focuses your mind and temporarily pushes aside all worries. According to positive psychology cofounder Mihaly Csikszentmihalyi, people are most creative, productive and happiest even, when they are in this state of ‘flow”. 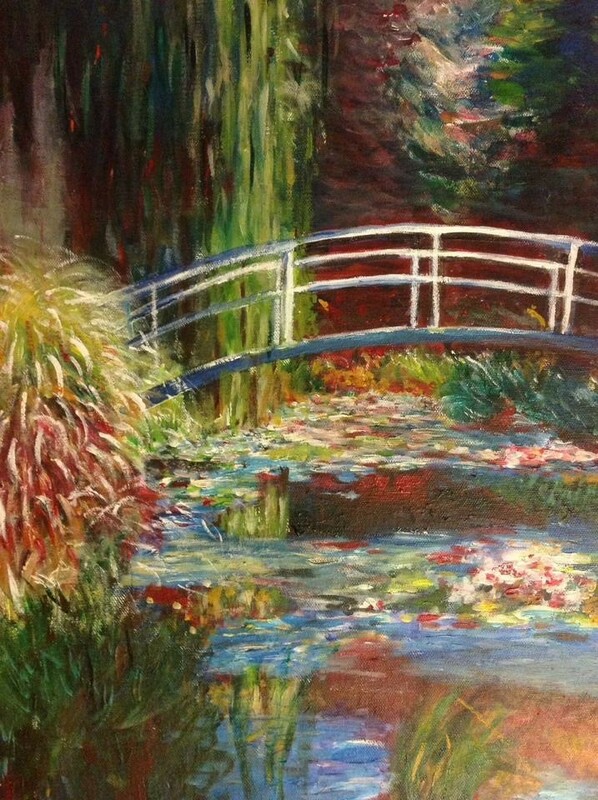 The writer’s daughter’s reproduction of Monet’s ‘Lily Pond and Japanese Bridge’. Image credit Claire Wong. Once upon a time when I was a helicopter parent, my eldest reminded me how ‘cruel’ I was to her. By cruel, she meant that I had pronounced (more than once) that all her drawing and doodling were a “waste of time”, and that she should be focusing on her studies rather than continuously “art-ing”. She finally had a heart-to-heart with me when she was in Secondary 1. She basically told me that art gave her a reason to look forward to school. That art made her a better student – which it does, and also gave her an outlet to de-stress when exam pressure got to her. I’ve never felt more ashamed as a parent and vowed to ever question her passion again. In conclusion, there is never just one way to disconnect and go-off-grid. You can confiscate all the devices and implement iron-clad rules for how much your child can be digitally connected, but the truth is technology is not going to go away. It will continue to be an ever-growing intrinsic aspect of our lives and the lives of our children. However, creating a give-and-take relationship now with clear rules and guidelines on what it means to disconnect and picking up good learning habits at the same time, will enable all sides – parents and children alike – to navigate forward, in this digital world. Tell us how you’d rather see your children otherwise disconnected and unplugged. Which type of learning activity do you think is best for your children? Go to this link https://poll.fbapp.io/learner-poll to participate in our first ever Learner Poll and you stand a chance to win Family tickets to KidZania to be enjoyed whenever you want to go-off-grid, with your children.